On May 16, 2016, I published a post entitled, "Doubting Yourself---In The Extreme" which exposed the errors of one "Bp." Joseph Marie, who doubts the validity of all Traditionalist Orders stemming from Archbishop Lefebvre and Archbishop Thuc. He (rightfully) doubts his own Orders as they are derived from the Old Catholic sect. As he has stricken the title "Bishop" before his own name on his website, I will simply refer to him as "Joe." My original post was directed against his article entitled "Traditional Catholics - Do Your Clergy Possess Valid Orders?" He has now attempted a rebuttal of sorts called, "Blogger 'Introibo ad Altare Dei' Taken to Task (A Response to a "Rebutal" [sic] Against Me)." You may read both on his website bishopjosephmarie.org under the "doctrine" section. I wish I could teach a course back in my law school, "Avoiding Sophistry," using his article as a prime example of what not to do when arguing. As Joe is long on words and short on reason, I will deal only with that part dealing with Abp. Lefebvre's Orders being "dubious" because his ordaining and consecrating bishop, Achille Cardinal Lienart, was allegedly a Freemason. For the sake of argument, I will concede he was a Mason as I did in my prior post, (but there is plenty of doubt if he was a member of the Lodge). I will leave Abp. Thuc for a separate post at another time. The first part will be more than sufficient to show that Joe's arguments hold no water. I always try to keep my posts terse so that my readers can sit and read them in a rather short time; therefore, feel free to read Joe's first article, then my post of May 16th, Joe's rebuttal and conclude with this post (for those who want a full and complete background). This will probably be my longest post, and I apologize, but Joe needs to be answered. When you read Joe's articles be prepared to have lots of time and caffeine to get through them. His remarks (which sometimes include quotes from my prior post) will appear in red. I will respond beneath without red text. The author of this article, Introibo ad Altare Dei, has chosen to hide his identity. If you go to Introibo’s blog and look up his profile, you’ll find a blank page. There’s zero information about him. Whoever he is, he is hiding. Interesting. The devil hides. Members of Freemasonry and other secret societies hide. Spies hide. Thieves, robbers, murders, rapists and other criminals hide. However, Catholics don’t hide. Christ didn’t hide. His Apostles didn’t hide. Except perhaps during times of serious persecution, the Saints, the Fathers and Doctors of the Church, the Popes, the Bishops, the Missionaries... didn’t hide. Catholics are bound to profess their faith, so that’s what they do. So why is Introibo hiding? Why has he chosen to align himself with those who hide? As you go through this article, the answer will become obvious. Introibo is both theologically incompetent and morally dishonest. I don’t say that lightly. There is plenty of proof of both below. Incompetent and dishonest people tend to hide." Wow! So because I choose not to subject my family and friends to possible attacks of discrimination and such because of my blog, I'm equated with the devil, Freemasons, spies, thieves, robbers, murderers, and rapists!! Moreover, Catholics don't hide, they are bound to profess their faith. Well, not exactly. First, being anonymous is not the same as "being in hiding." There are many people who publish various works under pen names, and law enforcement officials investigating crime syndicates who don't reveal that part of their lives to others for obvious reasons. I wouldn't consider them to be evil. This is a weird kind of "guilt by association." Second, let's see what a real theologian has written about a Catholic's duty to profess the Faith. According to theologian Jone, "Divine law obliges one to profess his faith publicly if silence or evasion would imply a denial of faith, contempt of religion, an insult to God or scandal to one's neighbor. "(See Moral Theology, pg. 65). Just for the record, Joe states, "Christ didn't hide." At least once He did, for good reason. The gospel according to St. John 8: 59 states: "They took up stones therefore to cast at Him. But Jesus hid himself, and went out of the temple." Most commentaries on this passage suggest Christ hid Himself among his followers so as to avoid the confrontation, others ascribe a miracle whereby He became invisible to them. Christ hid Himself at least once, so Joe's assertion is false. Finally, Joe claims I "hide" because I am "theologically incompetent" and "morally dishonest." By what authority does Joe purport to call me incompetent? He admits he's not a bishop and has no jurisdiction. I imagine he had some theological training in Spokane under Francis Schuckhardt, the value of which is questionable to say the least. It certainly does not qualify him for the title of "theologian" any more than the fact I go fishing makes me Jacques Cousteau. However, after reading what Joe and I have written, I will let my readers be the jury as to whether or not I'm theologically incompetent and morally dishonest--or if those appellations do not appropriately describe Joe. So please remember as you weigh the evidence (to paraphrase a legendary criminal defense attorney) "If the anathema doesn't sit, you must acquit"! Being that Introibo’s article is riddled with errors from head to foot, to properly address most of the errors, even if in a somewhat cursory manner, required a fairly lengthy response, for which I apologize in advance. Well, we've just seen how he's used guilt by association, and misapplied a principle of moral theology, so don't expect "errors" to be exposed, just his own ignorance. They don't even remotely mean the same thing. The position stated in my article is that the probability of high ranking Masons of intending to “do what the Church does” in conferring Holy Orders is doubtful to such a degree that moral certitude is lacking. This topic, in fact, is one which Introibo completely sidestepped. 1. I was actually being charitable by equating "adverse sacramental intention" with "positive contrary intention," because it is only by having a "positive contrary intention" that a sacrament can be rendered null and void for lack of intention. Joe informs us that he believes that because Masons belong to an evil society and could have a positive contrary intention, we must presume by the very fact of Masonic membership that the Masonic cleric might be doing so, and all his sacraments must be considered dubious. 3. The principle is clear, an ordination otherwise correctly performed becomes invalid only if the bishop makes an act of the will not "to do what the Church does" or not "to ordain this person." This, then, is a "positive contrary intention." You have a positive act of the will not to do what the Church does. 4. A bishop who confers Holy Orders, however, is never presumed to have such an intention not to ordain, until the contrary is proved. 5. The principle Joe proposes, however — "Whenever a bishop is a Mason, his sacramental intention must be presumed doubtful and all his ordinations therefore presumed doubtful" — directly contradicts the foregoing and sets up the opposite presumption. His theory thus treats an accused "Masonic bishop" as guilty until proven innocent. (His sacraments, Joe believes, must be treated as "doubtful sacraments.") And the burden of proof he must meet to acquit himself is impossible: he must disprove a double negative about an internal act of the will ("prove you did not withhold your intention"). His invented principle of "adverse sacramental intention" means that the simple fact of belonging to a secret society gives rise to a presumption of "not intending to do what the Church does." 6. Joe cites no pre-Vatican II canonist, moral theologian or dogmatic theologian who proposes or defends his idea that Masonic membership means dubious sacraments stemming from an "adverse intention" simply by being a member of the Lodge. 7. Who's fabricated the criterion for judging the sacraments of Masons dubious, Joe? Hint: It's either you or me, and it isn't me! Introibo just made this "positive contrary intention" thing up and falsely attributed it to me. As the reader will shortly see, making up things is one of Introibo’s trademarks. So Introibo’s basic premise is false. This is what is known as "arguing beside the point." He proves nothing germane to the topic of my article, let alone refutes it, because he never addresses the actual issues raised in my article. As you can see, far from arguing besides the point, I hit the nail on the head. No positive contrary intention= no problem with validity of the sacraments in that regard! The citations to Gasparri shows the principle is that of the Church, not mine. One of Joe's trademarks is being clueless (and he does it well). The reader will notice that Introibo states that if correct matter and formed are used, then a valid sacramental intention “must be presumed.” The reader will also note that neither quote provided by Introibo supports his “must be presumed” criterion. “Is presumed” and “sets up a presumption” do not mean the same thing as “must be presumed,” as anyone versed in theology will attest to. “Must be presumed” was simply fabricated by Introibo. He fabricates a lot of things. The argument made in my article is that a person who joins a Freemasonic society is indeed externally manifesting something, i.e., hostility towards Catholicism. This hostility is a fact attested to by numerous popes. And this very hostility towards Catholicism, externally manifested by virtue of their membership in Masonry, calls into doubt whether they would “intend to do what the Church does” in conferring Holy Orders. But Introibo doesn’t refute this argument; rather he simply chooses to hide from his readers the exception Leo XIII clearly stated, and he does this by carefully selecting only a small portion of Leo XIII’s quote and leaving the rest out, even though what he left out is critically relevant. Very deceptive, especially considering that it is the very thing that I complained about in my article (an article he purports to have read). 1. "Presumed" doesn't mean the same in theology as "must be presumed"? Says who? By that I mean what theologian or canonist (pre-Vatican II) makes such a distinction? Joe cites no authorities because he can't; he just made it up (ironically). 2. In civil law (and I'm a lawyer), everyone accused of a crime is presumed innocent until proven guilty. Presumed innocent admits of no exception, you must be presumed innocent unless externally manifested by pleading guilty! That's why the so-called "exception" by Pope Leo XIII is irrelevant. Simply "manifesting hostility towards Catholicism" isn't sufficient to overcome the presumption of a correct intention! 3. According to theologian Many, heresy, or even total apostasy from the faith on the part of the ordaining bishop, does not harm this sufficient intention, because intention is an act of the will. "Error in faith, or even total disbelief, does not harm this intention; for concepts of the intellect have nothing in common with an act of the will." (S. Many, Praelectiones de Sacra Ordinatione [Paris: Letouzey 1905], 586.) An apostate would certainly have "hostility towards Catholicism," but it does not (as theologian Gasparri teaches above) give rise to a doubt or presumption that there was a positive contrary intention not to ordain/consecrate. It would seem that Introibo is fully aware that the position he is taking is “against the judgment of the vast majority,” but he apparently didn’t want his readers to know that little tidbit of truth, so he just left it out. How about that. Yes, how about that, Joe? I never claimed that the presumption of a correct intention could never be overcome, only that it can't be overcome by anything less than a "positive contrary intention." Comprende usted? Probably not. That's why "what I left out" was irrelevant. So here we go again. Introibo makes yet another attempt to deceive the reader by extracting the second half of Principle XV as given by Fr. Leeming. Leeming devoted 14 pages to proving this principle, 13 pages of which was devoted to the second part of it, the part that Introibo conveniently left out. What he did to Fr. Leeming’s quote is a clear case of deceit. Leeming doesn’t support his ridiculous position, but Introibo wanted the reader to think otherwise, so he chopped and diced it to make it fit. In doing so, Introibo demonstrated that he is dishonest and and has ZERO regard for the truth. It appears that he has an agenda to peddle and certainly isn’t going to let something as minor as truth or Catholic doctrine get in his way. I suspect that he was banking on the fact that his readers would not have a copy of the now out-of-print book of Fr. Leeming and that consequently he could pull a quick one over them. It’s called deceit and deception. Does he think that he can deceive God too? Unbelievable. Now we can see why he chooses to publish his rubbish anonymously – he can behave dishonestly and yet keep his “good” name (if indeed he has one). Once again, when did I deny that the presumption could be overcome? It just can't be overcome simply by the fact of Masonic membership. Yes, if someone resolves "not to do what the Church does" the sacrament is not valid, but belonging to the Masonic Lodge does not automatically give rise to the presumption that the cleric has resolved "not to do what the Church does" unless he externally manifests his internal intention. “According to theologian Gasparri, a bishop is never presumed to have a positive contrary intention unless proven by those who assert such. This is what I referred to in my article as “Wish Upon a Star Theology.” Gasparri doesn’t mention Masonry at all and so he does nothing to support Introibo’s position regarding Masons. Introibo simply wished it to be there; but it’s not there and all the wishing in the world can’t change that. Further, Introibo highlighted in the quote above “For no one is presumed evil unless he is proven as such...” If the unanimous and constant teaching of the popes for nearly two centuries that Masons are evil isn’t proof, then what is? Are we to wait for a Divine Revelation? According to Dr. Rama Coomaraswamy, "The Church recognizing that she can never know the internal intention of the minister, assumes it is the same as his external intention (the intention the traditional rite provides by its very wording), unless he himself informs the Church otherwise." (See The Problems with the New Sacraments, pg. 11--Emphasis mine). I realize that the good doctor was not a theologian, but his research was impeccable. There is a footnote to this quote that reads thus, "There was a bishop in South America who was strongly prejudiced against ordaining native clergy. On his deathbed he confessed that when it came to native clergy he always withheld his intention. The priest who heard his confession refused him absolution unless he gave permission for this fact to be exposed to the proper authorities. The permission was granted. All the native clergy involved were re-ordained. Such episodes are extremely rare in the history of the Church, and for obvious reasons not normally made public." However, if Masonic membership equals doubtful sacraments, it would not be rare. There would be so many re-ordinations coming down from Cardinal Rampolla, they couldn't possibly be all kept secret. After Rampolla died it is said that among his personal effects was found proof he belonged to a luciferian Masonic sect called the Ordo Templi Orientalis (associated with the Satanist Alistair Crowley) and frequented a Masonic lodge in Einsiedeln, Switzerland, where he took his vacations. Forty American bishops consecrated between 1896 and 1944 derived their consecrations from Rampolla, via either Bp. Martinelli (the Apostolic Delegate) or Rafael Cardinal Merry del Val, both of whom Rampolla consecrated bishops. (See Jesse W. Lonsway, The Episcopal Lineage of the Hierarchy in the United States: 1790–1948, plate E.) That would be a lot of secret re-consecrations and re-ordinations of the priests ordained by those forty bishops!! Remember also, that the role of co-consecrating bishops was not clarified until 1944 by Pope Pius XII. What if other clerics were "secret Masons" but just never got revealed? Wrong, Introibo. It is absolutely crazy! There’s a maxim in scholasticism which states that if someone’s conclusion is absurd, then one or more of his premises is erroneous. This is a good case in point. Introibo would have us believe that LeVey can ordain priests to desecrate the Eucharist and bring scandal to the Church, but that he is somehow incapable of faking the ordination priests unless he “specifically states the contrary.” Good grief. I would love to see him provide an authoritative citation to support this. The reason St. Thomas gives is “because it is unlikely that he would secure so great a good for a man as is spiritual rebirth.” Ditto for Holy Orders, “because it is unlikely that he would secure so great a good for” the Church as to supply it with bishops (who by default are exorcists!) Now since Satanists and Masons (at least high-ranking ones such as Lienart) are evil and do evil works, the same line of reasoning would seem to aptly apply to them both, i.e., that it is unlikely that they would secure so great a good for man as to provide the Church with bishops and priests. Is this guy for real? "Pope" Michael is starting to look more normal by the second! 1. My conclusion that Anton LeVey would WANT to be able to make valid priests in order to desecrate the Eucharist is "crazy"? Sounds perfectly fine! Malachi Martin wrote in one of his novels that before Vatican II opened, several prelates held a Black Mass for the purpose of desecrating the Host. He claimed it was based on fact. I don't think Martin was on our side, but many people believed he was right on this one. Calling something plausible "crazy" is pure ad hominem claptrap. 2. His attempt to discredit my argument by replacing "Satan" for "LeVey" fails miserably. It's inapposite because the principles of sacramental theology only apply to men, not fallen angels. Second, I repeat, why would Satan NOT want to desecrate Our Lord in His sacramental state? 3. St. Thomas speaks of baptism performed by Satan, not orders. Baptism would do little to help him damn a soul or give insult to God. Not so with Holy Orders. 4. Yes, Pope Alexander said "within his heart resolves," not to do what the Church does, but since we can never know someone's internal intention, we can't presume he resolved not to confect the sacrament UNLESS he reveals or specifically states the contrary, as was the case with the South American bishop! ‘Still it must be confessed that the number of the enemies of the Cross of Christ has in this days increased exceedingly, who are striving, by arts, entirely new and full of subtlety, to destroy the vital energy of the Church, and, if they can, to overthrow utterly Christ's kingdom itself.’ (See Pope St. Pius X, Pascendi Dominici Gregis, 1907). Pius X does not say that Modernists want to “overthrow utterly Christ’s kingdom,” he says that about “the enemies of the Cross of Christ.” Accuracy in theology is important. Accuracy in reading is even more important. Pope St. Pius X states exactly what I wrote in paragraph #1 of Pascendi Dominici Gregis , "Still it must be confessed that the number of the enemies of the Cross of Christ has in this days increased exceedingly, who are striving, by arts, entirely new and full of subtlety, to destroy the vital energy of the Church, and, if they can, to overthrow utterly Christ's kingdom itself." What part of "overthrow utterly Christ's Kingdom" don't you get, Joe? Just like Prego spaghetti sauce "it's in there"! The subject of the encyclical was Modernism. Yet Joe wants us to believe the "enemies of the Cross of Christ" are not the same as Modernists, the very subject of the encyclical! Paragraph # 3 Of Pascendi states, "Nor indeed will he err in accounting them the most pernicious of all the adversaries of the Church. For as We have said, they put their designs for her ruin into operation not from without but from within; hence, the danger is present almost in the very veins and heart of the Church, whose injury is the more certain, the more intimate is their knowledge of her. Moreover they lay the axe not to the branches and shoots, but to the very root, that is, to the faith and its deepest fires. And having struck at this root of immortality, they proceed to disseminate poison through the whole tree, so that there is no part of Catholic truth from which they hold their hand, none that they do not strive to corrupt." (Emphasis mine). If Joe expects you to believe Pope St. Pius X is not referring to Modernists, he probably wants to sell you a bridge in Brooklyn really cheap. The pope calls the Modernists "the most pernicious of all adversaries of the Church" even above Masonry! But, let's step back to the phrase "enemies of the Cross of Christ." Joe believes the pope is teaching that these enemies are not Modernists, in an encyclical about Modernism and its errors. 1. The "enemies of the Cross of Christ" are Modernists and want to "overthrow utterly Christ's Kingdom itself." 3. The "enemies of the Cross of Christ" are Masons and others. Who are these "others"? Joe would have to show why Modernists, the most pernicious adversaries of the Church, would be excluded. Right here, his inability to read and comprehend should end it. I will continue a bit more. The reader will notice that St. Pius X does not list “Freemasons” as one the manifold personalities of Modernism. Again, that’s because Freemasons are not the same thing as Modernists. So if Freemasons and Modernists are not the same, then Introibo’s replacing “Freemasons” with “Modernists” would be tantamount to adding a fourth term to his “syllogism,” which of course would invalid (sic) it. Scholasticism 101. So Intoibo’s “syllogism” isn’t a syllogism at all. It doesn’t work. "Every minister of the Sacraments has the capacity to destroy the validity of the Sacraments by an adverse intention alone. Modernists, as declared enemies of Christ who want to "utterly overthrow" His Kingdom and are the "most pernicious adversaries of the Church," must be presumed to have an adverse intention to Catholicism. In the normal course of events, one who possesses the capacity to carry out his intentions does so. Therefore, Modernism is just as dangerous to the sacraments as Masonry! As I had said in my last post,.. Therefore, if the Modernists want to "overthrow utterly Christ's kingdom itself," they too wish the destruction of the Church, like the Masons. Should we therefore consider any Modernist as having a positive contrary intention? Considering that a majority of the prelates in 1962 were Modernists (suspected of heresy, or "in the closet" until Vatican II) what doubt would that place on most sacraments the world over? This would mean that the hierarchy would be suspect beginning in the latter half of the 18th century. Does he really expect any thinking person to accept this nonsense? Here we go again with yet another straw-man argument. Nowhere do I claim that “all” Masons want to destroy the Church. Nevertheless, that Masonry, considered as a whole, seeks to destroy the Church, is not just my personal opinion but rather the conclusion of countless Popes. These papal teachings cannot be overcome by the opinion of a historian. In addition, the Mason is question here, Lienart, was no low-level Mason. He rose to the rank of a 30 degree Freemason and the fact that he sought to destroy the Church is a matter of historical evidence, not speculation, as witnessed and testified to by Marcel Lefebvre himself. Modernism, considered as a whole, seeks to utterly overthrow the Kingdom of Christ is not my opinion, but the teaching of Pope St. Pius X. Joe doesn't ascribe to Modernism the same adverse intention he ascribes to Masonry. There's no logical reason not to do so based on his reasoning (or rather, the lack thereof). Joe admits that he never claimed "all" Masons want to destroy the Church, so how do we discern which one(s) have the adverse intention? We must presume it of all of them contrary to the teaching on the Intention for the sacraments given us by the Church? Apparently so. Then you didn’t look very hard. Right in my article I cited the publication: “Le Courrier Tychique, October 25, 2009.” It can be googled without any problem. Here is it for those who want a direct link: Le Courrier. As an aside, I’ve never read what Hutton Gibson wrote. Actually, in support of my position I presented a very well respected pre-Vatican 2 theologian, Augustin Lehmkuhl. I will delve into him later in this article. Introibo, on the contrary, can’t provide any theologians to support his position, which is why he had to resort to misquoting them. Ad arguendo, I'll assume Leinart was a Mason. I'll get to Lehmkuhl next, who does NOT support Joe's position. I also have misquoted no one. I'm leaving out a large part of #9 against me because I find it already refuted. If anyone, including Joe, would like me to tackle it, I'd be happy to oblige. I don't want Joe thinking I left it out for lack of a defeater. It is not current nor has it ever been current in the Church to consecrate “Sacrament only bishops.” This is obvious. Sacraments only bishops are a total novelty without theological or historical precedent. 1.The longest interregnum began with the death of Pope Clement IV on November 29,1268 and did not end until the election of Pope Bd. Gregory X on September 1, 1271. In fact, it lasted longer than that because, while papal reigns are calculated from the date of election, on that date the newly elected Tedaldo Visconti was only a deacon and was in the holy land on crusade. He unable to return to Rome and was not ordained priest and consecrated bishop until late March of 1272. During that time, bishops who died were replaced by other bishops in the surrounding area who would consecrate priests they thought to be worthy. What did Pope Gregory do? He confirmed their appointments without exception! Until such time they were "sacraments only" bishops. 2. It should also be noted that St. Ansgar was appointed to the See of Hamburg in 831 by the emperor, before the pope knew about it. The See of Hamburg was created by the emperor, not the pope. St. Ansgar was then consecrated by bishops of the area. Pope Gregory IV confirmed the arrangement, but he did so after the fact. 3. In both cases we had "sacraments only" bishops! None possessed jurisdiction. None could rule and teach with Ordinary jurisdiction. In our unusual time we await a pope who will confirm our "sacraments only" bishops! “This issue of Masonic Sacramental intention was indirectly addressed by a respected theologian, Augustin Lehmkuhl, in an actual case regarding a priest named Fabricius, who had become a member of a forbidden society. While Lehmkuhl does not specifically mention Masonry by name, that Masonry is a forbidden society is disputed by no Catholic, and so Lehmkuhl’s conclusion on the sacraments conferred by someone who had joined a forbidden society is justifiably and appropriately applied to Masonry as well, for no rational argument can be made as to why it would not apply. “I have fully referenced the citations. Lehmkuhl appears in DeSalvo's work on page 103 as an example of a merely external intention being insufficient to confect a valid sacrament. Lemkuhl NEVER declares sacraments conferred by those in secret societies to be invalid or dubious. Having “fully referenced the citations” and boldly stating that Fabricus “withheld his intention and manifested it,” then surely Introibo can show us where in the citations it states that Fabricus “manifested” his adverse intention. But he doesn’t so that. How about that. The reason that he doesn’t do that is because, once again, he just made it up. The citations don’t say that at all. Nowhere in De Salvo’s book does it state that Fabricus “manifested” his adverse intention; neither does Lehmkuhl’s original work which De Salvo quotes from (Casus Conscientiae, Ad usum confessariorum compositi et soluti, Vol. 2: Casus de sacramentis, editio tertia ab auctore recognita, Lehmkuhl, Augustino, Friburgi Brisgoviae 1907, p. 14-15). Wish upon a star theology strikes again. Introibo once again simply wished a non-existent fact into existence. The actual citation states exactly what I wrote in my article that it said about Fabricus, namely that “INWARDLY he intended not to do what the Church does...” End of story. And how did Lehmkuhl know what Fabricus INWARDLY intended? Mind reader? Divine revelation? He must have manifested it like the South American bishop! Otherwise, why pick this particular Masonic priest? Why not say any priest who joins a secret society inwardly intends not to confect the sacraments? Also, it would be more than an "adverse sacramental intention." If he's making the assertion that secret society membership equals an inner intention not to do what the Church does, then ALL Masons must have this contrary intention. So why pick out Fabricus? You admit theologians choose their words wisely. It was particular to Fabricus, not in general to Masons. "In fact, the most persistent enemies of the Church, who from Moscow are directing the struggle against Christian civilization, themselves bear witness, by their unceasing attacks in word and act, that even to this hour the Papacy has continued faithfully to protect the sanctuary of the Christian religion, and that it has called public attention to the perils of Communism more frequently and more effectively than any other public authority on earth." ( See Pope Pius XI, Divini Redemptoris ; Emphasis mine). According to Bella Dodd (a former Communist), the Communist Party placed over 1,000 men in the seminaries to subvert the Church. She made this knowledge public to Abp. Fulton Sheen and before the U.S. Congress. The Church never declared their sacraments would be invalid by an "adverse sacramental intention," but we would have to conclude this was the case using Joe's bizarre theology. (See also AA-1025:The Memoirs of a Communist's Infiltration into the Church by Marie Carre for more about the Communist plot against the Church). Finally, Joe speaks of Talleyrand. I will disregard that, for he has never refuted the fact I wrote in my last post about Bp. Saurine. Jean-Baptiste Saurine, was the schismatically consecrated "constitutional" bishop of Landes in August 1791. Of all the Masonic lodges in the world, the Grand Orient of Paris to which Saurine belonged and was a top-ranking member, has always been considered the most evil and the most anti-Catholic. Despite this, Pope Pius VII appointed Saurine as Bishop of Strasbourg in 1802, a post that this Masonic bishop held until he died in 1813. Note well, Saurine never wrote about having the requisite intention, yet the Church considers him a bishop without reconsecration, and the orders and sacraments that derive from him to be valid, even though he belonged to the most Catholic-hating Masonic Lodge in Europe. Before I summarize my case, I would like to look at the incredulous situation that would hold true even before Vatican II. Most theologians teach that a man must first be a valid priest before he can be validly consecrated a bishop (e.g., theologian Pohle). Since Lefebvre was ordained a priest by Cardinal Lienart, who as a Mason (once more, I'm conceding he's a Mason ad arguendo), Joe tells us that by simple fact of Masonic membership, he has an "adverse sacramental intention." This means we must consider all his sacraments as dubious. So Marcel Lefebvre is a dubious priest. Since he was not conditionally re-ordained, his episcopal consecration is dubious as well, since the two co-consecrating bishops who performed the ceremony with Lienart could do nothing to cure the defect that he wasn't a priest. He was therefore a dubious bishop in 1947. According to Catholic-hierarchy.org, Abp. Lefebvre ordained Hyacinthe "Cardinal" Thiandoum a priest two years later in 1949. He was a dubious priest, and became the dubious bishop of Dakar in 1962. "As to the objection that no one could be certain of having received the sacraments if internal intention is required, it seems futile. We are living among rational creatures and in the moral order of things we must depend upon one another for the sincerity of these actions as well as other actions of our daily life, and have the assurance that Christ protects His Church and enables her to safeguard and perpetuate the sacraments. Christ promised that He would be with His Church until the end of the world. Although men cannot be metaphysically certain of having received the sacraments, all may, according to common sense, depend upon the fidelity of Christ's ministers in the administration of the sacraments, and according to faith rely upon the indefectibility of the Church and her ministers as a body." (DeSalvo, pg. 106--Emphasis mine). This clearly teaches us that while it is not impossible for a defect in intention to occur, the Indefectibility of the Church will not allow Her to have nothing but "dubious" clerics and sacraments at every turn, which Joe's thesis would clearly entail, even before Vatican II. Notice Joe left out this conclusion of DeSalvo. In the light of all the aforementioned in this post, ask yourself who has really been "theologically incompetent" and "morally dishonest." Joe might want to consider going into hiding. Joe begins his article by seeking to cast aspersions on my character through guilt by association based on anonymity. He further misapplies a basic principle of moral theology regarding duties of Traditionalist Catholics to profess their faith. He has fabricated a principle of "adverse sacramental intention" that presumes by being a Mason we must hold his sacraments as dubious. This makes the Masonic bishop guilty until proven innocent, the exact opposite presumption taught by the Church. He sets up a false dichotomy based on "presumed" and "must be presumed." As in civil law, the Masonic bishop is presumed to have the correct intention unless the opposite is proven. Masonic membership alone does not prove this contrary intention, and there is NOT ONE pre-Vatican II theologian or canonist who teaches this innovation. Even French theologians (where Masonry was virulent) never mention, debate, or even consider Masonic membership as a criterion for dubious sacraments. Furthermore, there were no attempts to conditionally consecrate the forty bishops that came to us through the episcopal lineage of Cardinal Rampolla, whom is a known Mason. If Joe's made up "adverse sacramental intention" were true, logic would necessitate that it would hold doubtful the sacraments of the other enemies of the Church, such as Modernists and Communists. They have been condemned by the popes and have hostility for the Church. The Communists even put double agents in seminaries, yet no theologian ever questioned the validity of their sacraments. (See, e.g.AA-1025:The Memoirs of a Communist's Infiltration into the Church by Marie Carre, and Bella Dodd who testified that over 1,000 Communists had been placed in seminaries). Theologian Lehmkuhl, does nothing to help Joe's invented ideas. He mentions a particular priest (Fabricus) joining a secret society and then withholding his intention. We must infer either (a) it was his membership in the secret society or (b) he manifested this internal intention externally, not simply by membership. The second option is supported by the teaching of the Church, and the theologian who quotes Lehmkuhl (DeSalvo) who does not reach the conclusion that membership in Masonry equals dubious sacraments. Masonic Bishop Saurine of France was reconciled to the Church but never wrote about having the requisite intention of confecting the sacraments. Still, the Church considers him a bishop without reconsecration, and the orders and sacraments that derive from him to be valid, even though he belonged to the most Catholic-hating Masonic Lodge in Europe. As theologian DeSalvo wrote, "Christ promised that He would be with His Church until the end of the world. Although men cannot be metaphysically certain of having received the sacraments, all may, according to common sense, depend upon the fidelity of Christ's ministers in the administration of the sacraments, and according to faith rely upon the indefectibility of the Church and her ministers as a body." There is no "Masonic exception." I know I've been rough on Joe. After all, he does accuse me of being nefarious based on anonymity! Furthermore, I have disdain for those who want to keep people away from the sacraments based on theological nonsense. It is perhaps understandable that some Traditionalists should fall for the notion that Masonic affiliation equals "doubtful sacraments." After all, most are just trying to make their Catholic way in this time of near universal apostasy. They are not required to understand all the principles of theology, so a person can make some allowances if ignorance has led them to stupid conclusions. However, for Joe, who had some ecclesiastical training and brags of being well versed in theology, there is no such excuse. I know I'm not alone among sedevacantists in coming across Vatican II sect apologists telling us, "If what you say is true (there has been no pope since the death of Pope Pius XII in 1958), then 'the gates of Hell have prevailed.'" They are, of course, citing the words of Our Lord Jesus Christ in the Gospel of St. Matthew 16:18, "And I say to thee: That thou art Peter; and upon this rock I will build my Church, and the gates of Hell shall not prevail against it." The problem with the Vatican II sect apologist is that they don't understand the meaning of the words, just like Protestants. Both give meanings alien to the teaching of the Church. For the Protestant, "this rock" refers not to Peter, but to Peter's faith thereby denying the Divine institution of the papacy. The Vatican II sect apologist thinks that sedevacantism means the Holy Ghost failed to protect the pope from error, thus allowing the Church to teach false doctrine. For them, they must (a) accept Vatican II and its false popes completely with (at best) a preference for the "old ways," or (b) "recognize and resist" ("R&R")the so-called popes of Vatican II, and pick and choose what teachings of their "pontiff" to follow according to how they jibe with Tradition, as understood by them. (SSPX, Siscoe and Salza, etc.). However, neither approach is correct. The non-sedevacantists believe sedevacantists are saying something that none of us hold; that the pope was protected by the Holy Ghost, and then he did something heretical (sign the documents of Vatican II), and he ceased to be pope. They will (rightly) object, "Then you accuse the Holy Ghost of failing to protect the pope. He would never allow the Holy Father to sign heresy, so what he signed cannot be in error. The seeming contradiction with past teaching is only apparent, not real." Unfortunately, some sedevacantists, not fully comprehending the Catholic theology behind the position, explain it in this incorrect manner which opens it up to this objection. The apologists for Vatican II are correct in saying that the Holy Ghost would not allow a true pope to sign an heretical document---and that is the precise reason I'm a sedevacantist! If Paul VI had been a true pope on November 21, 1964, he would NOT have signed it, but the fact that he did means that at some point prior to that time, he professed heresy as a private theologian and fell from the pontificate. Hence, the pope did not sign Lumen Gentium, but the heretic Giovanni Montini did. According to theologians Vermeersch and Creusen, "At least according to the more common teaching, the Roman Pontiff as a private teacher can fall into manifest heresy. Then, without any declaratory sentence (for the supreme See is judged by no one), he would ipso facto fall from a power which he who is no longer a member of the Church is unable to possess." (Epitome Iuris Canonici, Rome: Dessain , 340--Emphasis mine). This clearly shows the folly of the "conservative" members of the Vatican II sect as well as the R&R crowd. The pope can fall into heresy and a heretic can't be pope. Hence, there is no "pope" to recognize, and the Holy Ghost did not fail to protect the pope since he had fallen from office by profession of heresy as a private theologian. As Pope Pius XII taught in his encyclical Mystici Corporis Christi (1943): "Actually only those are to be included as members of the Church who have been baptized and profess the true faith, and who have not been so unfortunate as to separate themselves from the unity of the Body, or been excluded by legitimate authority for grave faults committed."(para. #22, Emphasis mine) Those who do not profess the True Faith (heretics) are not members of the Church, and he who is not a member of the Church cannot be the visible Head of the Church (pope). Few people stop to ask themselves, "What exactly are the 'gates of Hell' according to the Church?" Pope Virgilius at the Second Council of Constantinople, in 553 AD, called "the tongues of heretics", the "gates of Hell." Pope St. Leo IX in his letter entitled In terra pax hominibus (September 2, 1053), told Michael Cerularius that "the gates of Hell" are the "disputations of heretics." Based on these papal teachings, it clearly implies that heretics and their heresies will never overcome the Church. It teaches the dogma of the Indefectibility of Holy Mother Church. Indeed, Traditionalists are the remnant Church. We understand Indefectibility, while R&R and "conservative" Vatican II sect members do not. They have a "gobbledygook Magisterium;" one that fails to teach because of (a) conflicts with prior teaching that require you to decide what to follow in neo-Protestant fashion and (b) the need for constant "clarifications," e.g. Ratzinger and Wotyla trying to "clarify" what "subsist" in the heretical document Lumen Gentium means 36 years later in Dominus Iesus. "And from this wholly false idea of social organisation they do not fear to foster that erroneous opinion, especially fatal to the Catholic Church and the salvation of souls, called by our predecessor, Gregory XVI, insanity, namely that the liberty of conscience and worship is the proper right of every man, and should be proclaimed by law in every correctly established society... Each and every doctrine individually mentioned in this letter, by Our Apostolic authority We reject, proscribe and condemn; and We wish and command that they be considered as absolutely rejected by all the sons of the Church." "The Most Holy Roman Church firmly believes, professes and preaches that none of those existing outside the Catholic Church, not only pagans, but also Jews and heretics and schismatics, can have a share in life eternal; but that they will go into the eternal fire which was prepared for the Devil and his angels, unless before death they are joined with her..."
On the primary ends of Marriage: Canon 1013 of the 1917 Code of Canon Law: "The primary end of marriage is the procreation and upbringing of children." On "dissentions" with Islam: The Catholic Church has the Divinely instituted right and obligation (a) to tell the human race what they must believe and (b) to govern them. Therefore, it is not possible that any "quarrels and dissensions" which have remained unresolved can be Her fault. "The gates of Hell," i.e., the "tongues of heretics" have not prevailed. The Holy Ghost has preserved the Church from Vatican II, and She continues without a pope in this time of near universal apostasy. Traditionalists need not "pick and choose," teachings, look for "reverent liturgies," and need 1,001 "clarifications" as to what the alleged "pope" had to say. 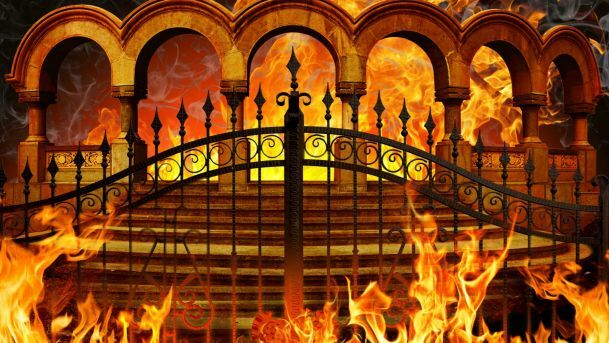 Ironically, those who employ the "gates of Hell" argument against Traditionalists, are themselves being led by the tongues of heretics towards that portal over which the sign reads, "Abandon All Hope Ye Who Enter Here." One of the most misunderstood doctrines of the Church is that of invincible ignorance. It is most commonly (and wrongly) regarded as meaning that anyone who doesn't know about the One True Church gets a free ride to Heaven. This, of course, would make Church membership unnecessary for salvation, which is heresy. Since invincible ignorance is closely tied with Baptism of Desire, it is attacked by Feeneyites, as well as those who ask, "Why bother becoming a True Catholic with all of the 'working out salvation in fear and trembling' when it would be easier to be ignorant?" All of this comes from a basic lack of knowledge regarding the theology behind invincible ignorance and what it really means according to the Church. I will attempt to set out the teaching of the Church in this matter. According to moral theologians McHugh and Callan, "Ignorance is invincible when it cannot be removed, even by the use of all the care that ordinarily prudent and conscientious persons would use in the circumstances." (See Moral Theology, Joseph F. Wagner, Inc, NY  1:12). "Here, too, our beloved sons and venerable brothers, it is again necessary to mention and censure a very grave error entrapping some Catholics who believe that it is possible to arrive at eternal salvation although living in error and alienated from the true faith and Catholic unity. Such belief is certainly opposed to Catholic teaching." "There are, of course, those who are struggling with invincible ignorance about our most holy religion. Sincerely observing the natural law and its precepts inscribed by God on all hearts and ready to obey God, they live honest lives and are able to attain eternal life by the efficacious virtue of divine light and grace. Because God knows, searches and clearly understands the minds, hearts, thoughts, and nature of all, his supreme kindness and clemency do not permit anyone at all who is not guilty of deliberate sin to suffer eternal punishments." Of course, this teaching is abused by heretics who would extend this ignorance to most or all people, thereby making the Church superfluous. On the other hand, the Feeneyites (followers of the heretical teachings of the late Fr. Leonard Feeney), will deny any possibility of salvation for men and women of good will in invincible ignorance unless they are baptized with water. Neither is the case as we will see. For all of this to make sense, a person must first understand some basic theological concepts. Necessity of precept, means that something is necessary from a moral obligation as the result of a commandment. It applies only to adults who have the use of reason and ceases to apply if there is an excusing cause. It is a necessity of precept to abstain from meat on Friday. It is a commandment of the Church which does not bind those outside the Church, and those within can be excused by proper ecclesiastical authority for cause and commit no sin. Necessity of means, signifies something without which the ends cannot be attained. For example, a validly ordained priest is necessary to consecrate the Eucharist. There is no exception. The True Roman Catholic Church is necessary, not only by precept, but by a necessity of means--extra Ecclesiam nulla salus ("Outside the Church, no salvation"). This entails that salvation does not come automatically assured to someone because he is invincibly ignorant and guiltless in failing to use the requisite means of salvation. In the natural order, for example, if a ship sinks and you were invincibly ignorant of needing a lifeboat and/or life-jacket on board (and therefore you were without one), your ignorance and freedom of malice will not prevent you from drowning. Necessity of means is further divided into necessity of means by nature or by positive ordinance of God. By positive ordinance of God there results an extrinsic bond established between two things according to God's Will. Such holds for the sacrament of Baptism. Such a means can have a substitute, or the means can be applied in some other way than its actual use. The means can be employed either actually or in desire (in re or in voto). They are not two distinct means, but one and the same--either perfectly (the sacrament of baptism with water) or imperfectly (Baptism by Desire or by Blood). So, for example, a pagan who loved God with his whole heart and was invincibly ignorant of the truth of the Catholic Church and how to enter would implicitly desire baptism if he willed, "I want to use all the means God has proscribed for salvation." God could thereby save him at the moment of death by the infusion of the true faith and sanctifying Grace (Baptism of Desire). 1. It is a very serious error to hold that people who live apart from the True Faith and Catholic Unity can attain eternal life if they die in this condition. 2. The person who is invincibly ignorant of the True Religion, and who meticulously obeys the Natural Law, lives an honest and upright life, and is prepared to obey God, can be saved through the workings of Divine light and grace. 3. Such a person has already chosen God as his ultimate End. He has done this in an act of charity. This person has his sins remitted within the One True Church of Christ. God can infuse faith and grace, and dying in this state, he receives the reward of Heaven by Baptism of Desire (BOD). 4. Traditionalists have a duty to fulfill the Great Commission, converting as many people as possible because you cannot depend on extraordinary means (BOD) to save them. (The above was condensed from theologian Fenton, The Catholic Church and Salvation In the Light of Recent Pronouncements of the Holy See, 1958). Objection: It has been argued that Pope Pius IX was not teaching invincible ignorance saves, he meant that the ignorant, if they cooperate with His grace, will be brought to the sacrament of Baptism. A. Their inculpable (invincible) ignorance will not save them; but if they fear God and live up to their conscience, God, in His infinite Mercy, will furnish them with the necessary means of salvation, even so as to send, if needed, an angel to instruct them in the Catholic Faith, rather than let them perish through inculpable (invincible) ignorance. Ignorance does not save. Only the True Faith saves. Does this in any way detract from our duty to convert everyone to the One True Church? Hardly. If anything, it should make us work harder for the salvation of souls. In the natural order, if you knew someone was poor and starving, would you bring them food or rely on God to miraculously feed them? In like manner, we cannot depend on rare miracles to save souls. 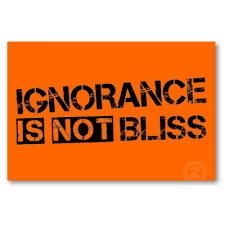 As Shakespeare wrote, "Ignorance is the curse of God; knowledge is the wing wherewith we fly to Heaven."